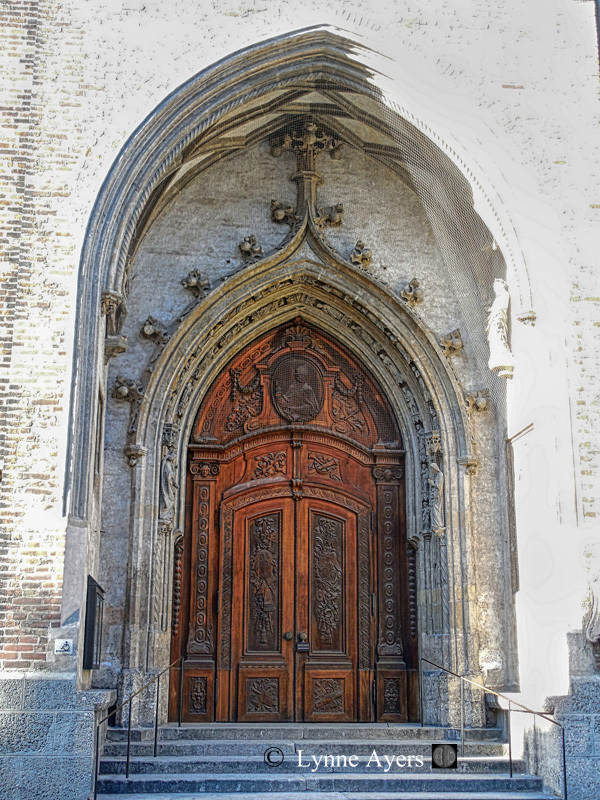 Pass through these doors to enter Dom zu unserer Lieben Frau – the Cathedral of Our Dear lady, also referred to as Frauenkirche. 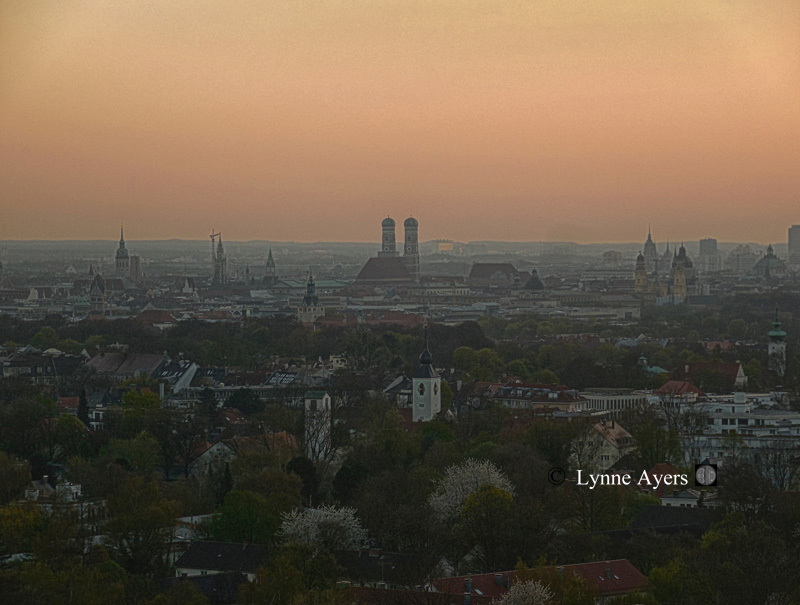 The onion domes of this church are unmistakable on the skyline of Munich. Located near Marienplatz in the heart of the old town, construction began in 1468. However, the cathedral suffered heavy damage from air strikes during World War II. It has since been rebuilt. It was difficult to get a near shot of the whole structure due to the close quarters of the old town and to the scaffolding of refurbishing that was underway. This evening shot was taken from the balcony of our hotel showing the twin spires topped with domes in the centre of the shot, looking unfortunately, a bit like smoke stacks.